Rinse the chicken, trim off the fats & pat-dry. Season with marinade for 30 minutes. 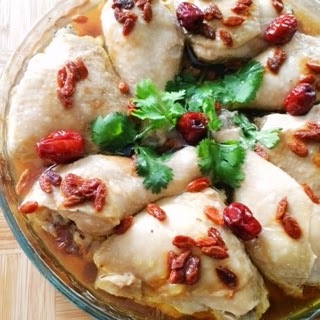 Place the marinated chicken in a shallow dish for steaming. Arrange the red dates, wolfberries together with the chicken. When cooked, remove foil and serve immediately. Garnish with coriander.